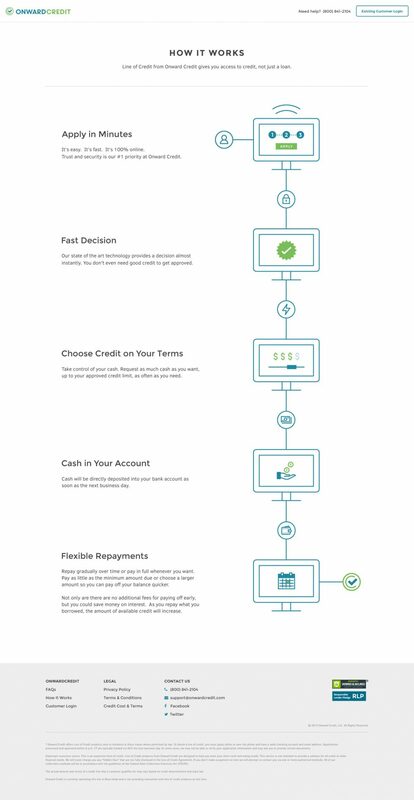 Onward Credit is an online company that offers personal loans and credits. Along with a minor logo refresh, we redesigned the Onward Credit website. Giving it a modern, fresh new look, our goal was to make it feel more welcoming to their target market and make the content easier to understand.